Come join us on Presidents’ Day and explore the incredibly rich architectural history of Tahquitz River Estates. From charming early examples of the Spanish Revival Movement, to Mid-Century Modern masterpieces to inspired modern day Contemporary Classics. Tour start times are at 10am, 11am and 12Noon. 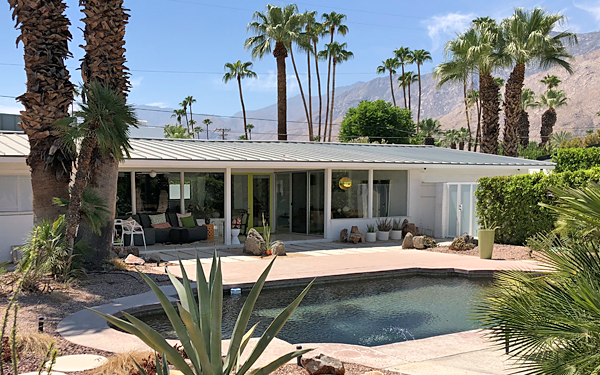 Events for Modernism Week (February 14-24, 2019) go on sale November 1, 2018 at noon PDT, and can be purchased at ModernismWeek.com. 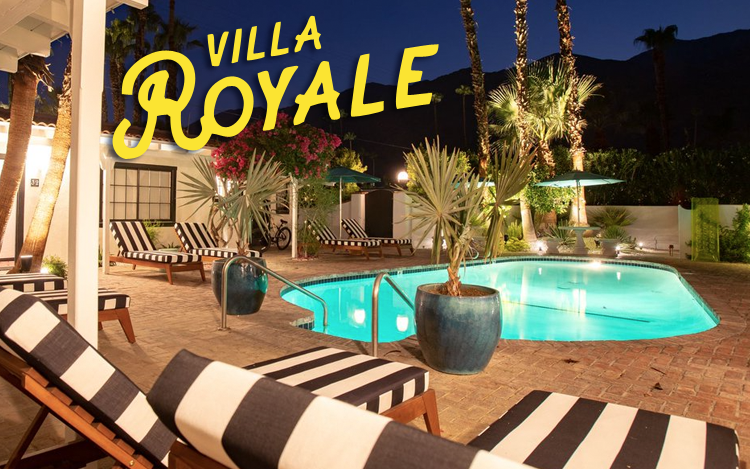 DON’t MISS this chance for a “first look” at historic Villa Royale Inn, the neighborhood landmark thatjust reopened after a multi-million dollar renovation. Villa Royale Rooted in the spirit of Palm Springs, Villa Royale is where instinctive craftsmanship and charm meet classic Hollywood flare. A legendary reprieve for globetrotters and creative spirits since 1947, Villa Royale’s reimagined 38 villas are bold and spacious—curated with guest experience in mind. Villa Royale has just recently opened its doors, and you are invited to be among the first to experience the transformation. Experience the new Del Rey Restaurant & Lounge. TRENO, our neighborhood organization, will hold the Fall Annual General Membership Meeting on November 17, 2018, from 1:00 PM to 3:00 PM at Villa Royale Inn. We will begin with a short business style meeting to recap activities in 2018 and present priorities for 2019. Among other things, an election will be held to fill seats on the Board of Directors, and Information will be shared about the incorporation of TRENO as a Nonprofit Public Benefit Corporation. Post-Incorporation Bylaws will be Proposed for Member approval. We’ll also ask for Member input on priority initiatives for 2019 using a “starter list” of subjects from the Board. 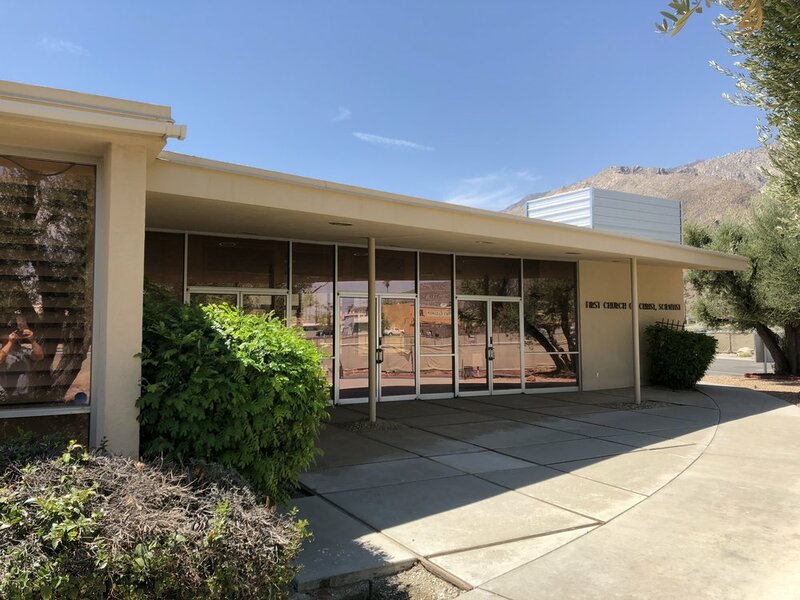 If you live, own property, or represent a business or organization in the Tahquitz River Estates Neighborhood, you’re automatically a member of TRENO, (Tahquitz River Estates Neighborhood Organization). Please join us for the Annual Membership Meeting. It’s a great way to connect with neighbors and stayinformed about “all things TRENO.” All are welcome. This is your neighborhood. The more people who get involved, the better it is for all of us. 2:15 pm - Socialize at the fabulous Villa Royale Inn! Four Board Seats are up for Election for a Three-Year Term. This announcement serves as notification of those Board of Directors seats that are up for election. The terms of four of the 12 TRENO Board seats expire at each Annual General Membership Meeting. An election will be held at the Annual General Membership Meeting for Members to fill these four seats. The three-year term for each seat will be from the time of the election at the Annual Meeting on November 17, 2018 through the Annual General Membership Meeting in November 2021. The four Board Members whose terms are expiring are listed below. Three of the four are seeking re-election. Candidate statements will be posted here for review by October 15th. If you are interested in holding a Board position or have a question, send a note to secretary@trenops.com. My partner Rob and I have owned our home on E San Lucas since 2009. We were invited by former advisory council member and TRENO co-founder (Flo Klaasen) to attend our first event in the spring of 2010. We were immediately taken with the inviting and hardworking volunteer advisory council members. Shortly after moving to Palm Springs full-time I joined the council in 2012. Given my marketing and real estate background, elevating the name recognition of Tahquitz River Estates has always been a primary goal. 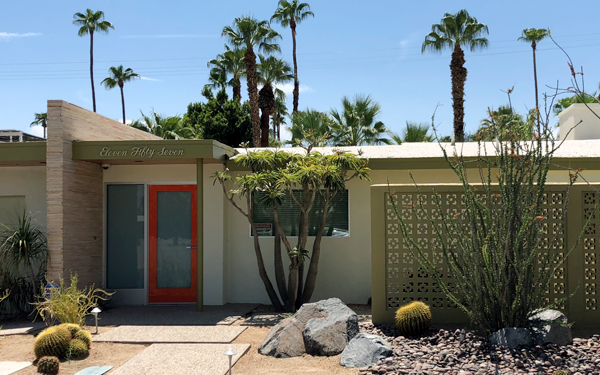 To that end I was very involved with the neighborhood blade program, worked with The Desert Sun to do a neighborhood profile and spearheaded the first TRENO Modernism Home Tour in 2015. I have continued to be involved with the subsequent tours and have been proud of what we’ve been able to accomplish with the proceeds of these tours. I look forward to continuing to serve on what is now TRENO’s Board of Directors and would very much appreciate your vote! I had never been to Palm Springs, prior to visiting here in October 2016, during Modernism Preview. We attended a number of events, lectures and open houses and immediately fell in love with the scene. 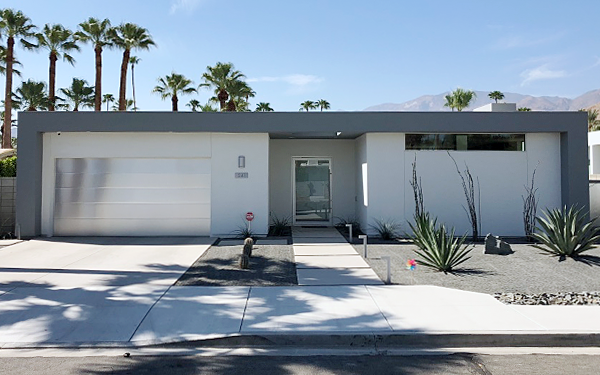 We moved into our first Palm Springs home two months later, then moved to our San Lorenzo Road home in March 2018. We love our home, neighbors and the Tahquitz River Estates Neighborhood. We were still unpacking when Eric Borsum stopped by to welcome us to the neighborhood on behalf of TRENO and to invite us to the TRENO Spring Social and to the neighborhood meeting about the Cameron Project. The current TRENO Board members are an outstanding group of dedicated neighbors who meet monthly to make ongoing improvements and look at ways to deal with issues. As a registered civil engineer with municipal experience (Asst. Dir. of Public Works), I’m hoping to help in liaison with the City Staff and to offer comments on projects/changes that come up. I am proud to be part of our Board, and I would be honored to have your vote for the 2018 – 2021 term. In 2002 and 2004 I first came to Palm Springs for work directing a fashion photo shoot, just when the area was fast becoming a destination for film and photo shoots and many notable buildings were being saved and renovated; it was an exciting transition for the city and I was intrigued (and coincidentally, I stayed at the Villa Royale both times). Fast forward to 2016, after years in Portland and the Bay Area, I finally returned to Palm Springs for vacation. My partner Barry and I share a mutual affinity for modern architecture & were at a point where we were ready to buy a home. Within five days of that visit we had made an offer on a house in Movie Colony East. Our subsequent move to Tahquitz River Estates represents our commitment to permanence here. I served as a volunteer docent for Modernism Week the last two years, and also at the first Desert X in 2017. I continue to travel as a free-lance photo art director and graphic designer. Through my contacts in the business, I have also produced several shoots for crews here, (fashion and home goods). In that role, part of my job is to promote the diversity of architecture and landscapes we have in such a compact area. 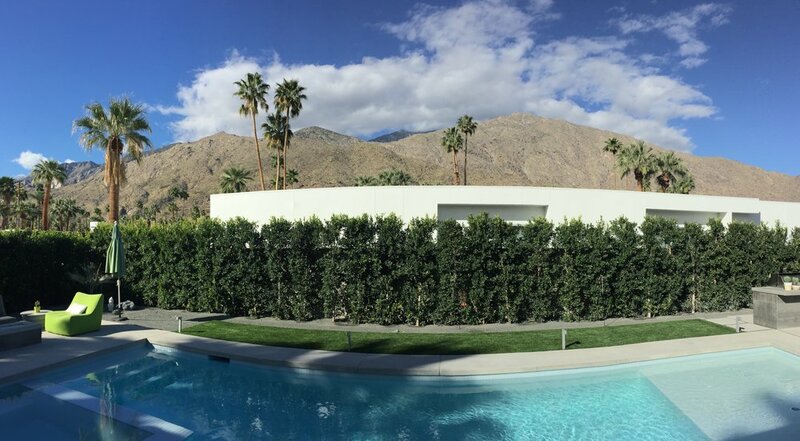 I work with a local company to scout locations, hire local caterers and book crews into hotels here in Palm Springs. Shortly after moving to our Trousdale house on San Lorenzo Road early this year, I accepted Eric Borsum’s invitation to join the TRENO home tour organizing committee for MW 2019. I’m excited to take the next step and serve a term on the TRENO Board with your support. In November 2017, the Tahquitz River Estates Neighborhood Organization (TRENO) organized as a Nonprofit Public Benefit Corporation under the California Nonprofit Public Benefit Corporation Law for public purposes and is a tax-exempt organization under Internal Revenue Code Section 501(c)(4) and California Revenue and Taxation Code Section 23701f. Contributions to TRENO are NOT tax deductible for individuals. Contributions to TRENO may be deductible for businesses as a business expense, but please consult with your accountants to make that determination. We’ll update Members on the Articles of Incorporation. As a result of incorporation, revisions were made to TRENO Bylaws to bring them into compliance with California law and the City Charter for neighborhood organizations working with the attorney for ONE-PS. Post-Incorporation Bylaws will be proposed for approval by Members. Articles of Incorporation, Post-Incorporation Bylaws, and other important documents and resources are available for review in the ABOUT section of the website. Donations help sustain our all-volunteer organization. See the Membership section on our website for more info. and concerns of our neighborhood community. The Board generally convenes at a Board member’s home from 7 p.m. to 9 p.m.
on the first Thursday of each month (except July and August). Meetings are open. Join us. Contact us for more information.